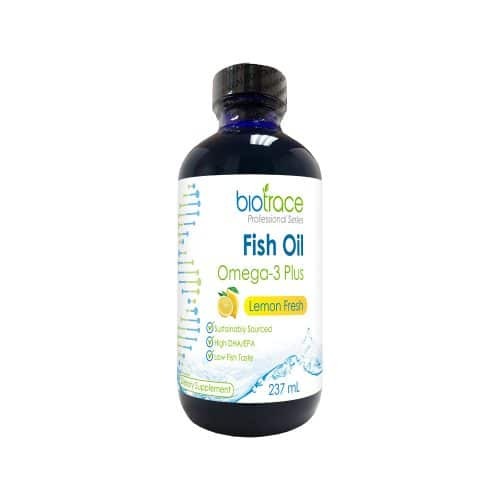 BioTrace Fish Oil Omega-3 Plus is fresh, high-dose liquid fish oil that tastes pleasant for children and adults to take. 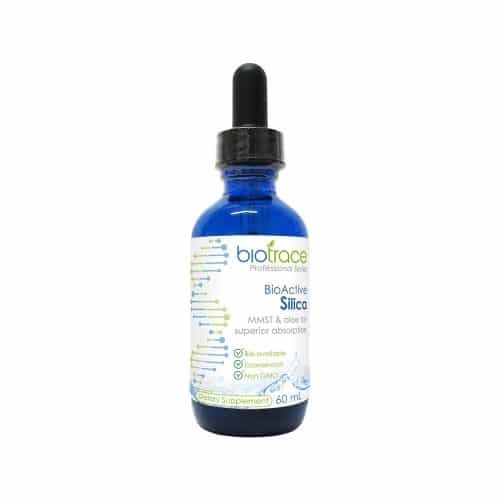 BioTrace Fish Oil provides a high dose of DHA and EPA in one teaspoon. DHA is most concentrated in the brain, retina and spermatozoa and along with EPA may support healthy brain, eye and cardiovascular function. Clinical research also shows that Omega-3 fatty acids may support dry skin, healthy bone mineral density, joint stiffness and mobility. BioTrace Fish Oil is sustainably sourced from herring and is batch tested for its purity. 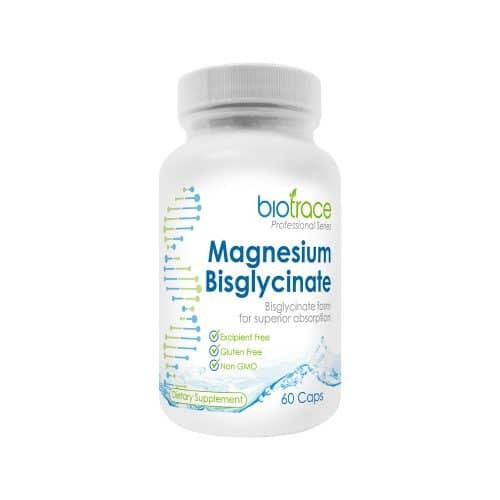 BioTrace Magnesium Bisglycinate can be taken to support muscle function, energy, and the nervous system without the bowel tolerance issues associated with other forms of magnesium. 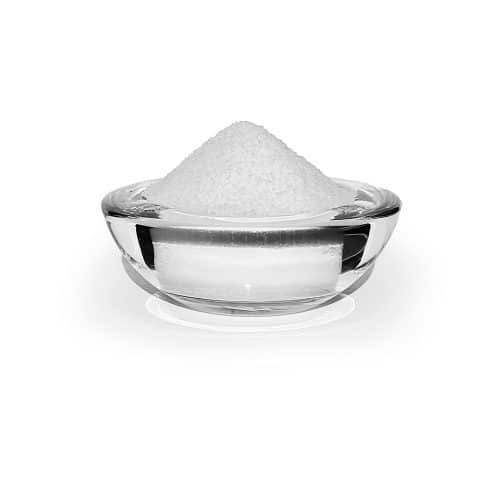 Magnesium Bisglycinate is a highly bio-available form of magnesium that is absorbed in the distal part of the small intestine as an intact amino acid. Due to ease of absorption it is ideal for those looking to correct a deficiency. Magnesium is an essential cofactor for more than 300 chemical reactions within the body. Scientific research suggests that magnesium may support bone health, cardiovascular health, nerve conduction, muscle function and brain function. BioTrace Magnesium Bisglycinate is manufactured in a GMP (Good Manufacturing Practice) certified plant and is an excipient free product. A high quality vegetable capsule (tapioca) ensures greater protection of encapsulated nutrients. BioTrace Magnesium Citrate offers magnesium, a mineral required as a cofactor for more than 300 chemical reactions within the body, in a highly bio-available form with no added ingredients. Dietary magnesium deficiency is common due to inconsistent levels in the soil. Low dietary magnesium is associated with stress, worry, sleep and low mood. Excess body fat may also contribute to the risk of magnesium deficiency because the increased release of the satiety hormone ‘leptin’ stimulates the influx of calcium into cells, displacing magnesium from binding sites. Magnesium Citrate is a well absorbed form of magnesium that may support the body with normal energy levels, sleep and mood balance, adrenal gland health, brain function, muscle function and other bodily functions adversely associated with stress. Scientific research suggests that magnesium citrate may be a good adjunct to conventional treatment for supporting the cardiovascular system and normal blood pressure levels. BioTrace Magnesium Citrate is manufactured in a GMP (Good Manufacturing Practice) certified plant and is an excipient free product. A high quality capsule ensures greater protection of encapsulated nutrients. 25g of High quality Malic acid useful as a replacement for apple juice for liver/gallbladder flushes. BioTrace Organic Folate is extracted from lemon peel and is 100% Certified Organic. Lemon peels are rich in phytonutrients. Folate deficiency can occur when dietary intake is low, demands are high, or a genetic defect in folic acid metabolism exists. Folate is more bioavailable than folic acid as it doesn’t require metabolism into a usable form. Folate is essential for DNA synthesis and cell division and may support fetal development. Folate is most supportive in the first four weeks of pregnancy. Supplementation is advised for all women who might get pregnant, and throughout pregnancy and breast-feeding. Research indicates that folate may support normal brain function and heart health because it supports normal homocysteine levels in the body. BioTrace Organic Folate is recovered from lemon peels using a water extraction process, and no chemicals. It contains no toxic excipients, is Vegan, Non-GMO and 100% Certified Organic. BioTrace Organic Iron is derived from curry leaf extract and is 100% Certified Organic. It provides plant-based, stomach-friendly iron with natural antioxidants. Iron deficiency is common in vegetarians, pregnant women and women of child-bearing age. It is associated with fatigue, reduced work capacity, reduced mood and brain function. Iron is essential for oxygen transport in the blood, electron transport and cellular respiration. Research shows that iron supplementation may support energy in people with low iron. Sufficient iron is very important during pregnancy to support both the mother and the developing neonate. BioTrace Organic Iron is more digestive friendly than other forms of iron due to its co-nutrients and co-factors. BioTrace Organic Iron is recovered from curry leaves using a water extraction process, and no chemicals. 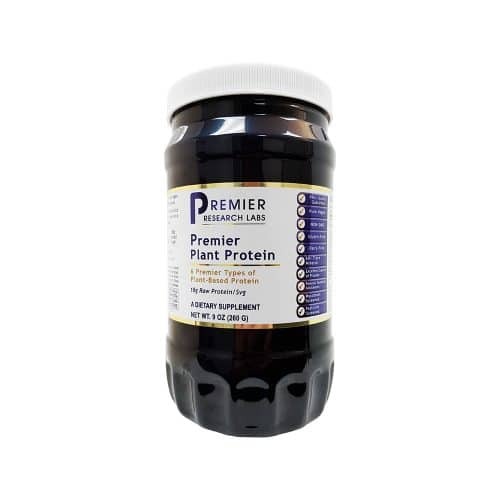 It contains no toxic excipients, is Vegan, Non-GMO and 100% Certified Organic. BioTrace Organic Zinc is 100% Certified Organic guava leaf extract. Guava leaves have a naturally high zinc content and are used traditionally to support gut, skin, and immune health. Zinc is required for over 200 functions in the body including healthy immunity, digestion, skin, and reproductive system support. BioTrace Organic Zinc is uniquely Vegan, Non-GMO and 100% Certified Organic. The World Health Organisation (WHO) estimates that one-third of the world’s population is deficient in zinc. Zinc can easily become depleted in the body which is why it is highly important to support your cells with well tolerated and absorbable forms. Guava leaves contain co-factors for zinc absorption such as Beta-sitosterol and co-nutrients such as flavonoids and polyphenols. Guava’s co-nutrients work synergistically with Organic Zinc to support immune system defence. BioTrace Organic Zinc is recovered from guava leaves using a water extraction process, and no chemicals. It contains no toxic excipients, is Vegan, Non-GMO and 100% Certified Organic. BioTrace Phyto B is a plant-based B vitamin complex made from sprouted, powdered Buckwheat (Fagopyrum esculentum) seeds. Buckwheat is a member of the rhubarb family (gluten free) and is well known for its high nutrient content. The sprouting of buckwheat seeds greatly enhances their nutrient profile as the sprouting process activates and ‘enlivens’ the inherent vitamins, minerals and enzymes. B vitamins are some of the first vitamins to deplete under stress and are therefore helpful to support energy, mood balance, adrenal gland function and liver function (particularly B5). The buckwheat seeds in Phyto B are germinated using a proprietary process known as Cultavit, resulting in a fortified seed with higher amounts of B complex vitamins. BioTrace Phyto B is manufactured in a GMP (Good Manufacturing Practice) certified plant and is an excipient free product. A high quality vegetable capsule (tapioca) ensures greater protection of encapsulated nutrients. BioTrace Phyto C is a rich and natural food‐based form of Vitamin C sourced from the berries of the Amla tree (Emblica officinalis). Traditionally used for bowel health, Amla may not have the bowel intolerance issues associated with other vitamin C supplements. One Amla berry contains as much vitamin C as two oranges and is also rich in nutrients such as calcium, magnesium, iron, zinc, B vitamins and antioxidants. Amla is a popular remedy in Ayurvedic medicine to support energy, immunity, longevity and optimal health. An increase in free radical generation or an impaired antioxidant mechanism is known to result in oxidative stress. Oxidative stress is often implicated in poor immune system function. Glutathione is an important antioxidant that supports the body’s defences against reactive oxygen species (ROS) like free radicals, peroxides and heavy metals. Scientific research suggests that Amla may support healthy glutathione levels. Most vitamin D3 supplements are animal-derived. Phyto D3 Complex contains natural, vegan-sourced vitamin D3 derived from the germ of sprouted buckwheat (Fagopyrum esculentum), with vitamin K2 and magnesium glycinate for maximum absorption. Vitamin D deficiency is common in Australians and New Zealanders, affecting 33% to 84% people, depending on age, skin colour and sun exposure. Immunity – Vitamin D is required for numerous immune functions in both innate and adaptive immunity. Phyto D3 may support a healthy immune system, cardiovascular system, bone health, mood balance and gastrointestinal health. Cardiovascular Health – Vitamin D is an important co-factor for smooth muscle and heart function. Calcium build-up in the arteries may lead to blood pressure problems. Research shows that vitamin D may support normal blood pressure levels and vitamin K2 may support normal calcium deposition in the body. Bone Health – Dietary calcium absorption in a vitamin D deficient person is estimated to be as low as 10-15%. BioTrace Coral Cal-Mag with natural calcium sourced from pure, fossilised coral is our recommended companion product with Phyto D3 for optimal bone health. Mood Balance – Vitamin D receptors are found widely throughout the brain, including the cortex, cerebellum and limbic system. Low vitamin D levels are associated with stress, worry and low mood. Bowel Health – Research shows that poor gastrointestinal tract health is associated with low serum vitamin D levels, thus supplementing with vitamin D may support bowel function. 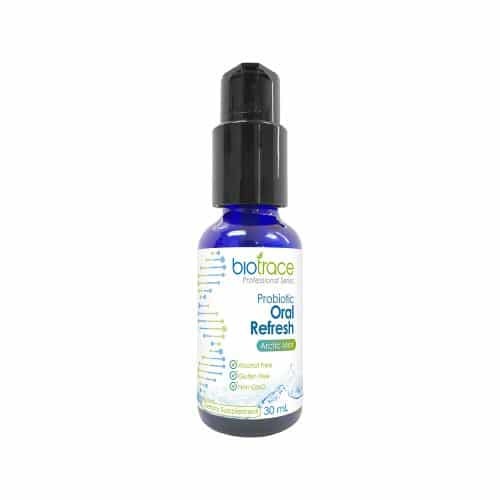 BioTrace Probiotic Oral Refresh is a mouth freshener you can swallow that transforms your mouth into a healthy environment for good bacteria. It comes in two natural flavours – Arctic Mint and Wild Fruit. An overgrowth of unfavourable bacteria in the mouth can affect dental, throat and ear health and cause halitosis (bad breath). Probiotic Oral Refresh contains a strain of bacteria, Streptococcus salivarius (S. salivarius), that may support the equilibrium of the oral cavity, including the gums, throat and upper respiratory tract. Scientific research consistently shows that introducing S. salivarius to the oral cavity may support dental hygiene and a healthy mouth. Probiotic Oral Refresh contains natural oils that promote the adhesion of S. salivarius to the teeth and gum surfaces. Once the probiotic adheres in the warm moist environment of the mouth, it flourishes in numbers creating a lasting effect. You will experience a clean mouth feel like never before! Probiotic Oral Refresh is made with Non-GMO ingredients and is Gluten and Alcohol Free.